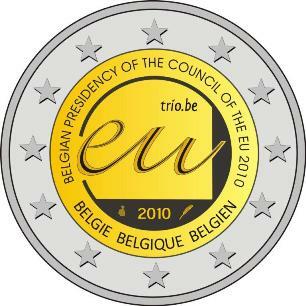 Photo Competition | The Euro, What does it means to Us? Danish Euro Designs that Never Were! Estonia to Adopt the Euro Next Year! Slovenia just announced a public competition to design a €2 commemorative coin with the title '100th birth anniversary of national hero Franc Rozman'. Submissions must be in by 11th June 2010.
featured on the 2011 and 2012 sets respectively. The issue limit for the 2010 Annual Mint Set is 20,000 pieces.